Web based video conferencing for 1-on-1 and group meetings. Video conferencing allows you to meet online. Video adds a personal touch to your online meetings. And screen sharing lets you show documents to your peers or troubleshoot a client's computer issue. Imagine you’re working on a proposal for your biggest prospect and require some input from your teammates. You can send your colleagues a meeting link, show your proposal on the screen, and get feedback all without leaving your desk or picking up the phone. Participants can see and hear each another with webcams and microphones as if they were in the same room. Personal, face-to-face meetings when meeting otherwise isn't possible, practical or preferred. Video conferencing done through the web browser opens up the technology to many more users and scenarios. Requiring users to download and install complicated software that may not even be compatible with their device is not a great way to initiate communication. With MegaMeeting, a guest can join a meeting simply by clicking a link in their email or messaging program. This ease-of-access is a boon for the average user who may otherwise miss out on the benefits of video conferencing, and it allows you to focus these efforts on all of your customers, clients or prospects (not just the tech savvy). 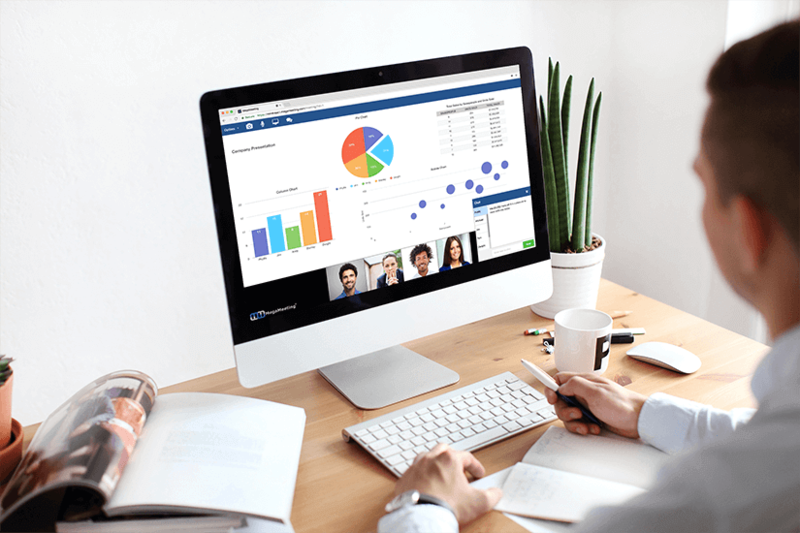 The real magic behind browser based video conferencing comes from integrating it into your own website, software application, or social media platform. Our easy-to-use API allows you to expand your usage of your account outside the confines of our standard user interface. But you don't need to be a developer to take advantage of this; by posting a meeting link on your website or social media you have instantly created a powerful integration! With an Enterprise account, you can deploy your own whitelabled solution that turns your product or platform into a video conferencing service for customers. Our industry-leading 24/7 US-based technical support is always on hand to assist you with empowering your application with MegaMeeting services. 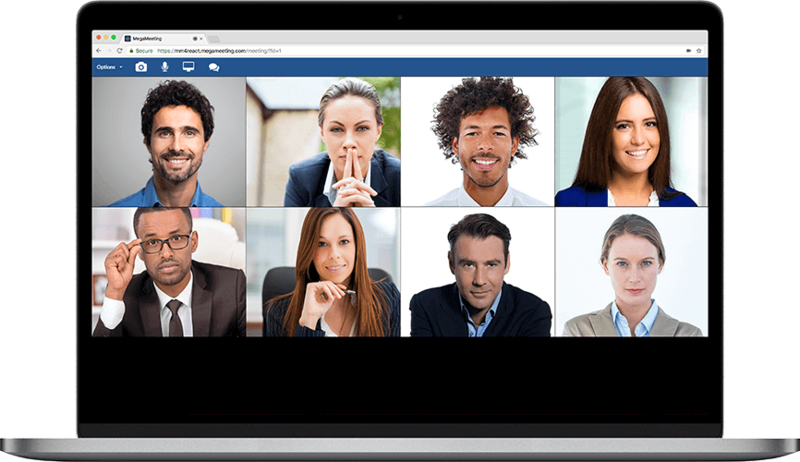 MegaMeeting's latest browser based video conferencing solution utilizes WebRTC for encrypted realtime communication. This modern technology provides the highest quality and most secure video and audio available for meetings of up to 8 people. 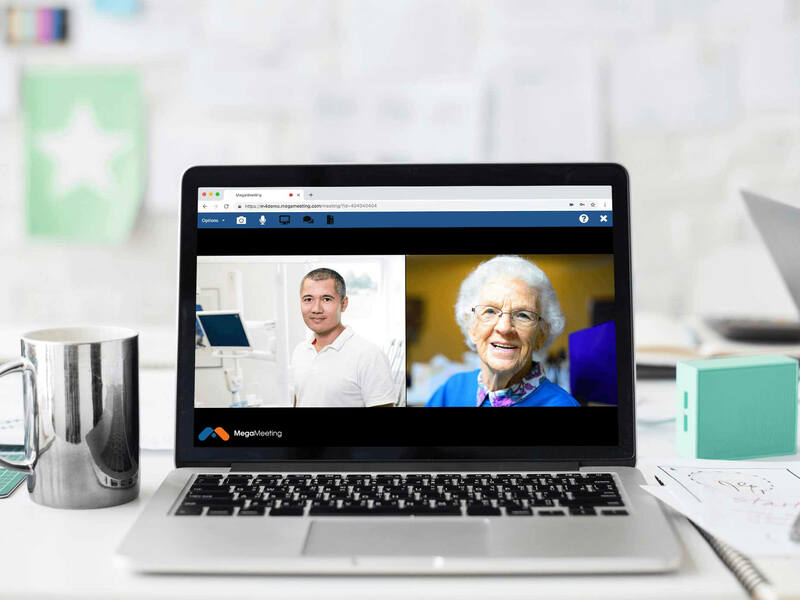 When it comes to video conferencing, after security and ease-of-use the next most important aspect is quality video and audio, and thanks to WebRTC we are able to deliver a higher quality than ever before.